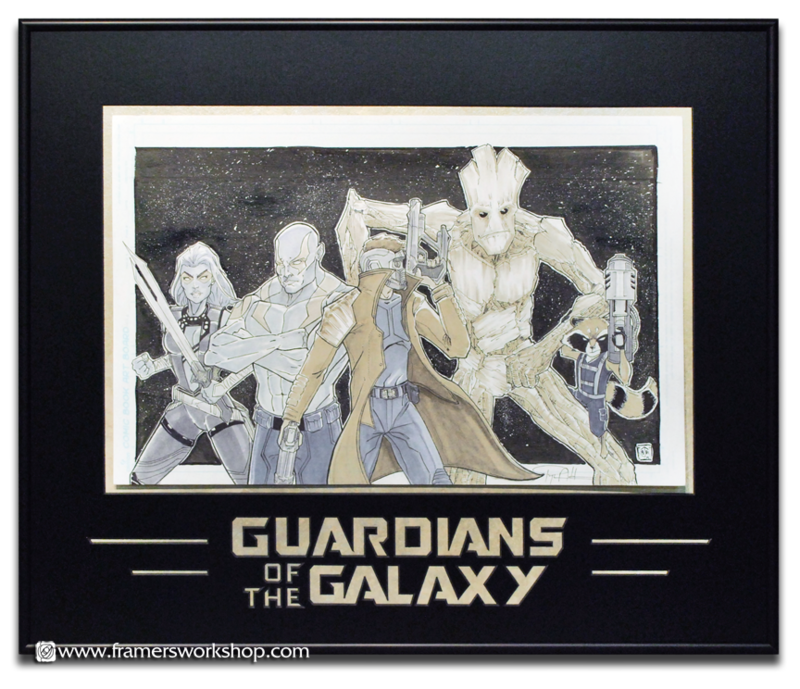 The owner of this original concept drawing for the "Guardians of the Galaxy" film wanted a mat cut to match the film's logo.The artwork floats on Crescent Couture "Molten Gold," 100% cotton rag matting.The top mat is cut from a silky Crescent "Etched Black." 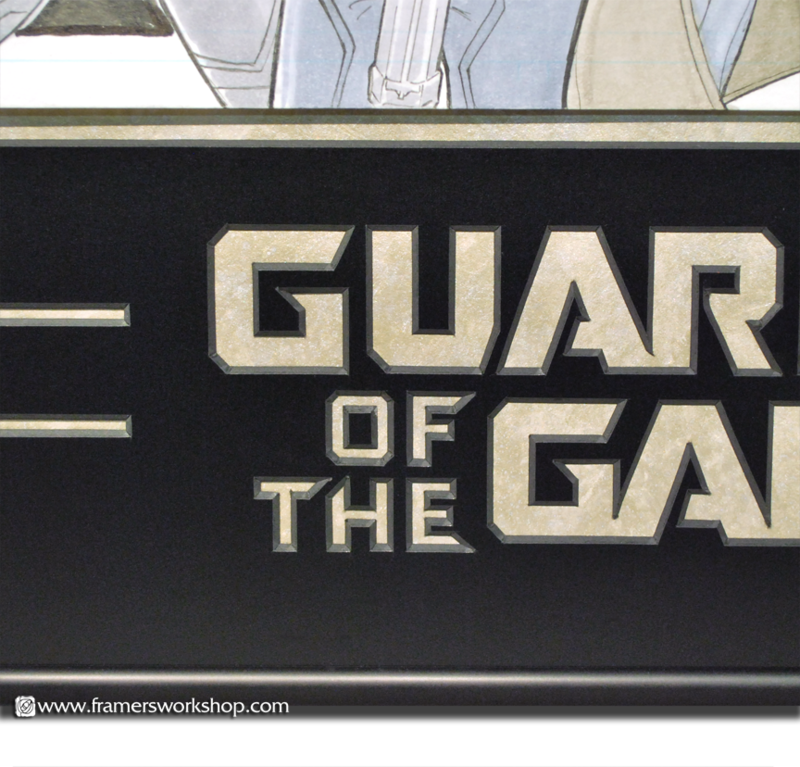 We've used UV filtering glass to protect the inks from fading. The frame is a simple matte black metal.